The new OS for iPhone and iPod touch is just released, i.e. the iOS4, and its still available only for developers right now as the official version is yet to go live. Till then, you can use the firmware in your iPhone 3G, iPhone 3GS and a team has successfully tried to jailbreak the iPhone 3GS with the iOS4 firmware, using the Pwnagetool. You too can try, if you are too eager and don’t want to wait for the official version to release. This firmware is the Golden Manager candidate which can be used by the developers. Still, you are doing it at your own risk, as the baseband preserving is not guaranteed fully. And make sure that your iTunes is updated to the latest version i.e. iTunes 9.2 Keep all the above contents at a single place, i.e. in any folder or on the desktop. 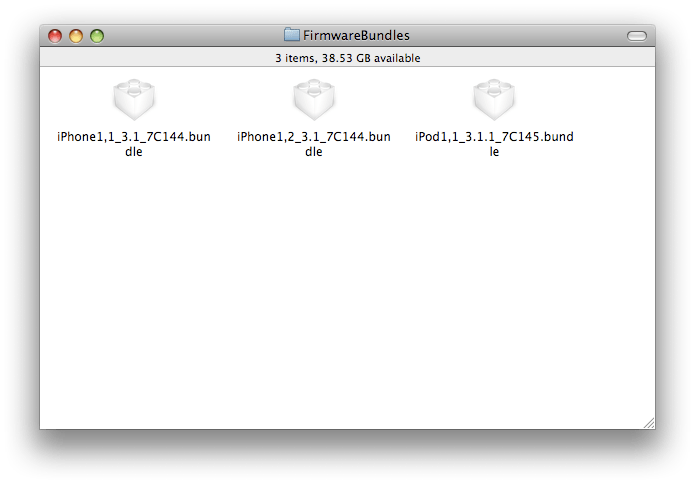 Right click on Pwnagetool.app and open “Show Package Contents” and then browse to the following location – Contents > Resources > Firmware Bundles – and at this location, copy the custom jailbreak bundles that you have downloaded. Now right click on the Redsn0w.app and open “Show Package Contents” and browse to the following location – Contents > MacOS > and from here copy the Cydia.tar.gz to your desktop and extract its contents. Now, as the normal procedure is done to create the custom firmware, you will just have to open the Pwnagetool and make the custom firmware. After the custom .ipsw file is created, you will have to replace and restore the iOS4 through your iTunes 9.2. Put the device in recovery mode and restore. Note: Though few people reported that it was successful for them, still you are doing this procedure at your own risk. Not always the baseband is protected. What version of boot loader is this for? If i am not wrong, Pwnagetool is only support 3G at the moment! Yes we have already written the same in the title of the post. while creating the custom firmware, upon connecting my phone to the computer, it went unrecognized…any idea why? it function only if user maked JB using pwnage tool in 3.1.2. Not if only used spirit. hellu.. i do exactly everything step by step but it wen i wont to pwn it show me that is not bundle firmware found.. dont know wath wrong im doing..
Pwnage is only for Mac, right?